It is the most remote and untouched island we have ever visited. 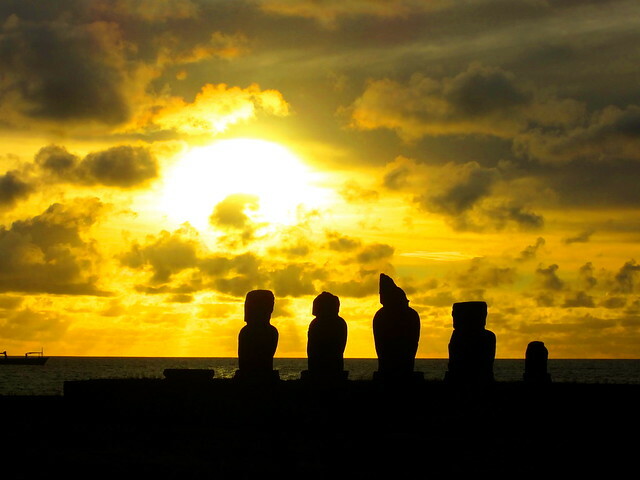 The moai scattered across the island have a mysterious history that you can’t help but be curious about. You can only live in one town, Hanga Roa, while the rest of the island is mostly unpopulated. 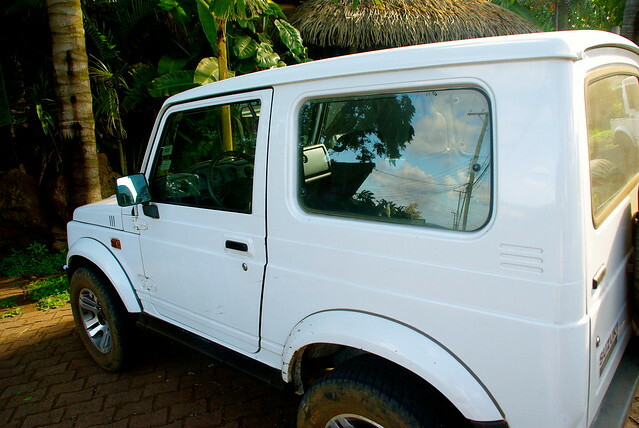 Car – To get around the island you will need a set of wheels. The easiest way is to rent a car. There are numerous car rentals around the island, the further from the supermarket you go the better deal on a price you can usually get. Expect to pay upward of $50+ for a days rental. Bike – This will make for a long day of biking, but you can get around and see a lot on two wheels. The roads aren’t paved, and you will run into a few hills along the way, but mostly your biggest issue will be the huge dust cloud that will form as the other cars and trucks pass you. Bring a lot of water and snacks, because once you are outside of Hanga Roa your options are slim to none. Hitchhike – As with most islands, hitchhiking is a viable option. You can easily get around by sticking your thumb out in the road, or meeting a friendly local in town and asking him to drop you off on their way. 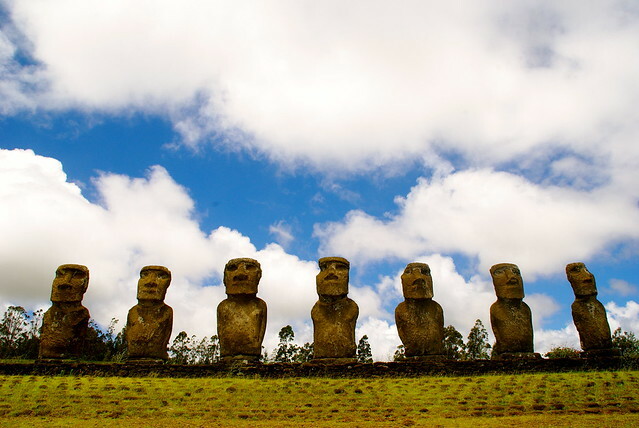 As always, be careful with whose car you get into, Easter Island has no history of danger, but you never want to be the first. 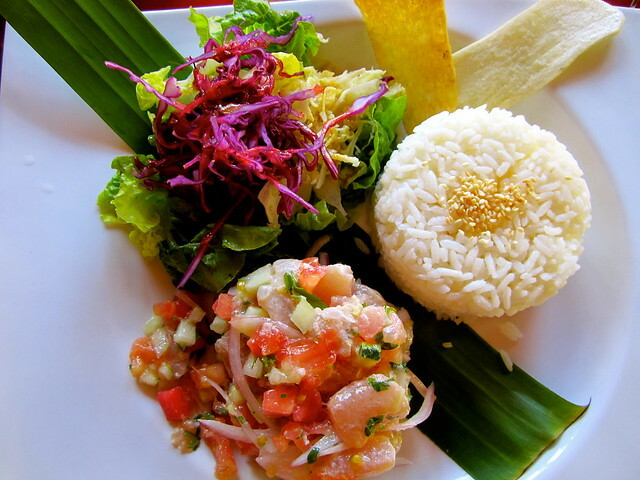 For delicious ceviche… Te Moana – I fell in love with their ceviche on the island. I suggest visiting for lunch, the prices are much more manageable. 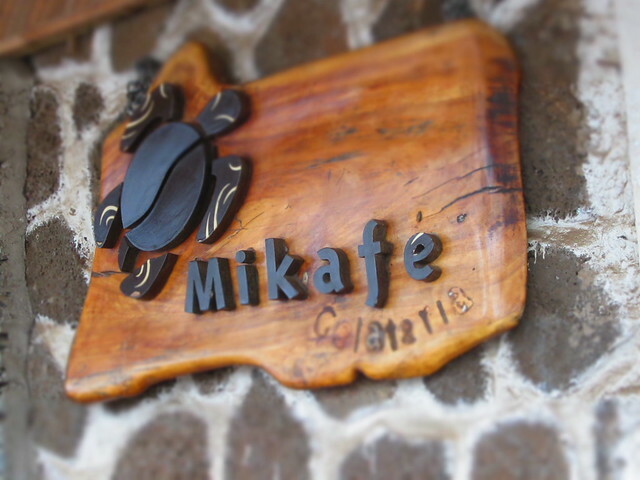 For flavorful and addicting ice cream…Mikafe Gelateria – The flavors change daily and I suggest getting adventurous and trying a new flavor while you are here! On a budget…Club Sandwich – empanadas, sandwiches and smoothies. Although this is the budget option, it is still on an island in the middle of the Pacific, and more expensive than most options elsewhere. For decent food, but still nicer on your budget…Tavake – we probably didn’t order the best option on the menu, but restaurants on the island are pretty expensive and this was one of the cheaper ones. * Even these “budget” options will still run you around $40 minimum for a two person lunch. Unfortunately while we were there we didn’t splurge on any nice meal since the food costs already ran so high. 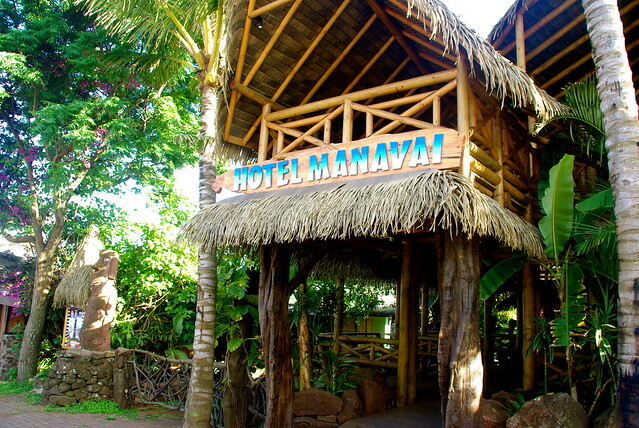 For a central location…Hotel Manavai – with breakfast included this hotel is pretty reasonable for Easter Island. The rooms are basic, but the staff here will make your stay memorable! To splurge…Explora Rapa Nui – This resort is outside of town offering pure luxury with exceptional service and impressive architecture. 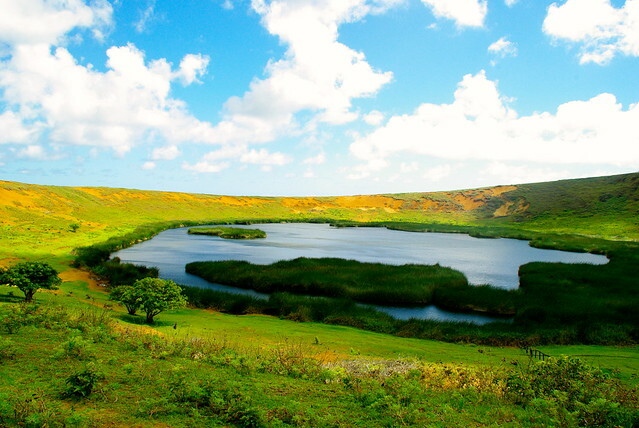 Expect to spend over $2,000 USD for 3 nights of staying with Explora on Easter Island. To save…Camping at Tipanie Moana – Only 1 block from town you can save quite a bit by camping on the island. You will be able to rent tents and have access to wi-fi and clean bathrooms. 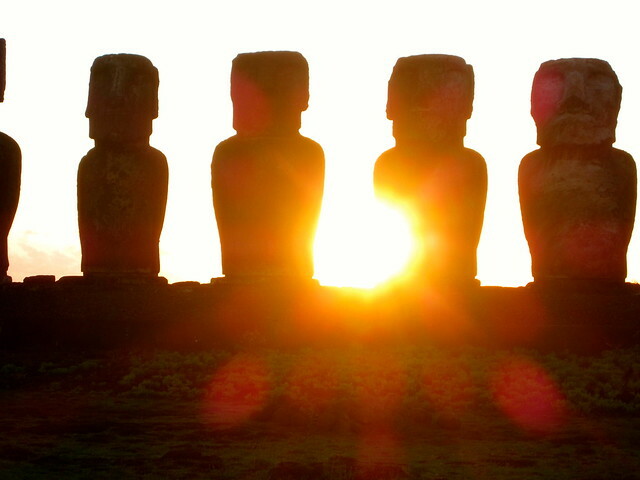 Have you started planning your Easter Island trip yet? You guys are getting really good at it. Very nice and organized information. Thanks FFF! We’ve learned so much over the past year and want to share it with everyone. When we were there we did EVERYTHING we could because we have a feeling we wont make it back for awhile – its unbelievable, but it’s out in the middle of the ocean :)!